Jobs for Pakistan’s Generation Next. Pakistan’s recent census 2017 has revealed a staggering population of 210 million and according to the UN population fund report 63% or 132 million are between the ages of 18 and 33. Out of this 69 million are 15 or under and 58 million between 20 to 24. For Pakistan the need for creating and sustaining employment for its pipeline of millennials is turning into a ticking time bomb. The rapid adoption of technology by millennials means that they are more familiar with searching for information online, communicating and networking through social media, they want to move on very quickly, in other words their behaviour is very different to past generations who relied upon reading vast amounts of content, face to face conversations, writing by hand and having a job for life. On the other hand we have employers and their needs. “The discourse at the round-table in Faisalabad on 25 September is around the 2 groups’ employers and millennials or generation next and whether they are aligned? What are the challenges? What are the opportunities?” Said Shah Muhammad Khan, ACCA Business Development Manager for Faisalabad. Those organisations that are actively understanding and changing to attract and retain the best millennials are also recognising that customers are also passing through technological changes. The accountancy profession is not any different, it attracts many young people but it’s probably the one sector that has experienced the most profound technological changes, in my own lifetime we have moved away from really back bending cross casting, reconciliations and multiple ticking to automation, cloud services and there are serious chances that the work of accountant will be completely automated by 2030. So how is the profession going to save itself. The good news is that regulations and compliance will continue, risk management,analysis and thinking about the future will still need to be performed by humans. Why should a young bright person enter the accounting profession if it’s going to be like entering a time tunnel and taking one back to Dickensian days. Certainly in Pakistan the environment not only of some SMPs, SMEs but many larger organisations has still not understood and embraced the technological change and its impact on behaviours and the external environment. 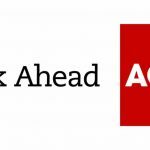 When ACCA surveyed 2458 young people under the age of 36 results were in line with global trends. Young Pakistanis choose accounting and finance because (i) want a long term career (ii) they want to develop and broad range of skills. Young Pakistanis do see the sector as prestigious whereas globally this feeling ranked 5th out the 5 factors. Does the profession offer enough opportunity for mobility? 65% have only been in their current roles for 3 years or less. But the chart illustrates and strong mobility trend. Young people in SMEs and SMPs are more likely to see their next move outside the organisation. For a generation who have grown upwith significant advances in technology,it is perhaps not surprising they seebenefits from the increasing adoption ofnew technologies in the workplace. Employers need to harness this passion for technology internally and externally in their B2C and B2B commercial relations. “Savvy employers are aware of young candidates making their own personal brands on social media. CFOs and HR functions will often visit the LinkedIn pages of young people which may provide more insights on their attitude, soft skills and EQ.” said Shah Muhammad Khan, ACCA’s Business Development Manager for Faisalabad.